Earlier this month, Global Television Network in Canada featured a documentary about the so-called “mercy killing” of children with severe disabilities. The very fact that such a topic is even entertained on national television reveals something about the moral state of my country. The documentary featured two parents: the first was Annette Corriveau who wants to euthanize her two severely disabled children who suffer from Sanfilippo syndrome. She says that her children, who live in institutionalized care, would opt for assisted suicide if they could communicate with her. How does she know that? They have been uncommunicative since early childhood. Corriveau says they wouldn’t like to live the way they are. Of course they wouldn’t. I don’t want to live triplegic and electric wheelchair dependent from MS — but that doesn’t mean I am better off dead. Annette Corriveau’s children have not expressed a wish to die, they can not communicate and it’s doubtful they are aware of their circumstances or even their surroundings. It’s their mother who wants them dead. The second case featured on the Global documentary was that of Robert Latimer. He is the Saskatchewan farmer who murdered his disabled daughter Tracy back in 1993. She had cerebral palsy. A protracted legal saga ensued in Canada that eventually saw him him convicted of second degree murder. What shocked me during the time that the case moved through various legal avenues, up to and including Canada’s Supreme Court, was the sympathy and support Robert Latimer enjoyed from the courts, the media and the general public in ways he would not have had if he had murdered one of his healthy children. I was shocked because I did not fully realize at that time what low regard Canadians have for people with serious disabilities! A trust fund was established for Robert Latimer’s legal costs; it received close to $100,000 from across Canada! 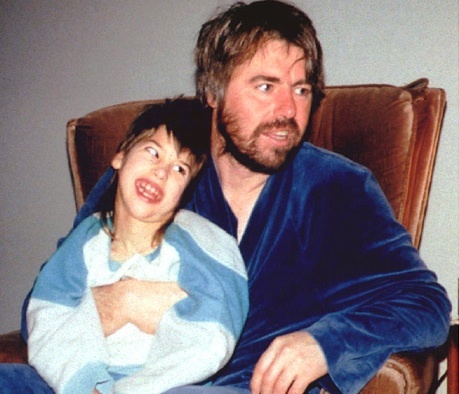 Many Canadians felt that Robert Latimer should not serve any time for killing his disabled daughter. Television interviews with people on streets of Canadian cities revealed stunning levels of public support for Robert Latimer. One man said that Latimer did a favor for his daughter by killing her. Others thought he did what was best for Tracy and should not have been charged with a crime. The judge in Latimer’s first trial issued an unprecedented “constitutional exemption” to Robert Latimer. Members of the jury in Latimer’s second trial asked that he serve no more than one year in prison and the Canadian Civil Liberties Association petitioned the Justice Minister to reject Latimer’s second degree sentence. Public opinion polls consistently revealed that over 70% of Canadians supported euthanasia for the terminally and chronically ill and assisted suicide for the disabled. Disabled people like me began to understand that the lives of chronically ill and disabled Canadians are viewed as having less worth than healthy Canadians and not deserving the same legal protections as the rest of the population. In the Global TV program, journalist Jennifer Tryon said that the Latimer pitted morality against law. That is a view but not in the way Latimer and Tryon might think. Many of us within Canada’s disability community believed it was profoundly immoral to murder Tracy Latimer and show lenience toward her killer in ways that would not have been shown if Latimer killed one of his healthy children. At a personal level, I thought Robert Latimer should have been convicted of 1st degree murder, not 2nd. Evidence established during his trial showed premeditation. There is a seething undercurrent of hostility against Canadians with disabilities — and that hostility extends to children. Previous ArticleOpen Your Heart and Family to Love! Next Article Who Gives a Hoot About the 1%? I found the film online. Yes, it’s all about the parents. Frightening. Philip – And I know many, many parents in your same situation who would absolutely agree everything that Mark says here – and, remember, Mark, too, is writing from a perspective of a disabled person, himself (as am I). I have nothing but sympathy for others – especially children – with severe disabilities and their care-givers. Wanting to end suffering is a good and noble goal, but killing is never the answer. There is no grey area here. Deliberately taking the life an innocent human being is always morally wrong. I understand that those who advocate for the killing of people with disabilities think they’re acting out of love, but love, first and foremost, is an affirmation of the human person and the true meaning of the word “consolation,“ which is what we want to give to those who suffer, suggests being with the other in his solitude, so that it ceases to be solitude. The fullness of love requires a shift to a higher dimension of reality, beyond the reach of mere feelings to the affirmation of another person for his own sake and being willing to suffer with and for him through a sincere gift of oneself. The sick and disabled don’t need to be put out of their misery. They need to be loved and cared for and treated as human beings worthy of the the beauty and goodness that life can bring – even in the midst of extreme suffering. 6th commandment: You shall not kill. @ Dale…perhaps some one should have told the RC Church about that in the genocide they perpetrated during the Crusades, or perhaps the Inquisition…millions killed in the name of Christ; and who didn’t speak out about the Holocaust and who was the silent partner of the Rwanda massacres? The Catholic Church was directly and complicitly involved in more murders than wars and abortion combined. ‘nuf said! philipdz, I want to reach out a hand of both friendship and truth. Sadly, when you wrote about the Crusades, the Inquisition, and the Holocaust, I am afraid that you have bought into modern myths about the Catholic Church. I will provide admittedly simplistic historical facts that might help put some of these myths into perspective. The Crusades were not an act of genocide, but a set of wars brought to try to wrest formerly Catholic lands back from the hands of Muslim conquerors. The (Spanish — considered the worst) Inquisition was an attempt to find spies within the Spanish government. The Catholic Church was given the task of finding heretics who had infiltrated the government. No where near even one million people were executed (one estimate puts the number at 2,000). No one at all was executed by the Catholic Church; any execution took place at the hands of the Spanish government. Contrary to fiction which claims silence on the part of the Catholic Church during the Holocaust, I refer you to the Papal Encyclical “Mit brennender Sorge” or “With Burning Concern.” This document condemned racism and warned Catholics against Nazism. It was written in German instead of the usual Latin so that everyone would know precisely which country was being referenced. As for Rwanda, the jury is literally still out, and the Archbishop of Kigali is specifically stating that no Catholic clergy were involved in the genocide. I noted an NPR article which claimed that a parish priest ordered that a church be bulldozed on top of refugees, killing 2,000 people. This simply does not ring true; wouldn’t 1999 of them simply run away from the bulldozer? So, again reaching out a hand of charity, I ask you to re-examine your views of the Catholic Church as some murderous historical entity. Perhaps the RC Church is not as evil as you were once led to believe. 200,000 people were killed during repeated Crusades to regain access to the Holy Land…200,00 were interrogated during the two inquisitions and 1.8% killed. No, Popes did not speak out strongly about Akton t-4 where 200,000 disabled were gassed and there is little doubt about complicity in Rwanda especially by the order called the White Fathers. I will respect the RC Church when it admits it’s error and condemns them…. Yes, war is terrible. The question is whether or not the war itself was a just or necessary war. After 9-11, did you feel we should hand over the reins of our government to Al-Qaeda? Yes, people were killed during the inquisitions — by the government, not the Catholic Church. Does not our own country call for the death penalty for treason? Yes, the Pope was careful about when he made statements about Nazism, because often the Nazis would take lethal aim at Catholics when the Pope spoke. Rwanda, I know less about, so I am not the person to mount a defense. If Catholic priests were involved in ordering death, then they should be punished, as should the 1%-2% of Catholic priests who abused minors. As Pope John Paul II has in fact made apologies for the actions of Catholics, particularly during WWII, may I ask why you use the future tense (“I will respect”) instead of the present tense (“I do respect”)? I think all of us who are living with disabilities are just glad that we had our chance at life. Without the Church standing up for life, it is quite possible that the world would have fallen into such darkness and ruin by now that the disabled would simply be extinguished the moment their condition became clear. I like to joke that if Charles Manson had been on my psych meds, he would have been a piano instructor. The fact is that life, in spite of suffering, is worth living. Every child deserves his chance. There is no way any of us can tell what a human life, even a disabled one, can accomplish given the chance. Every human person is an image of God’s goodness and has the capacity to bring good into the world. Every kid deserves his chance. Anything else is just evil.